Nursing is a well-known career path and is a popular choice among schools and universities. More than likely, the thought of nursing as a career has crossed your mind. 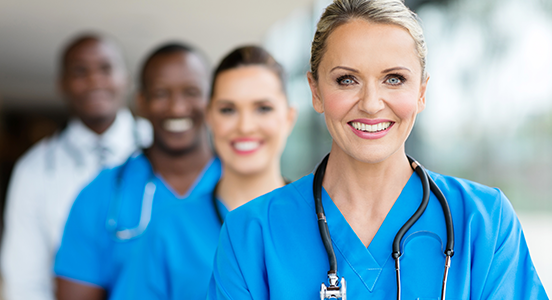 Whether you’re a high school student or a middle-aged adult looking for a second career, nursing is a job that can be for anyone. All you need is compassion, a stethoscope, and a sense of humor! For all those considering a career in nursing here are few signs that nursing may be the career choice that’s right for you! 1. You can feel sympathy. Not all people are sympathetic. And I don’t mean that you have little soft spot for animals. For example, you feel sorry for your friend whose mother has passed. Or you cry with your best friend whose boyfriend dumped her. If you can’t feel sorry for people-nursing may not be right for you. 2. You have an iron stomach. Gross things don’t faze you. Or, even better- you like it! In the field of nursing, you will see and smell things that are amazingly disgusting. Embrace the nasty. If you can’t handle the heat, get out of the kitchen. 3. You can think critically. Nursing is not for those who cannot think critically-especially during a disaster. Nursing requires more than just basic book knowledge. You have to be able to piece together many pieces of information in order to come up with an appropriate solution. Every patient is different and every situation is different, meaning every outcome will be different. Remember that a patient’s life is on the table, and every decision matters. 4. You have a sense of humor! If you can’t see the humor in everything-nursing may not be right for you. For nurses, humor is oftentimes a way to cope with stress or even distress. We joke about things that may seem appalling or insensitive to non-medical people. 5. You respond well during emergencies. If you are the type to panic during an emergency, nursing may not be right for you. As a new nurse during a code, the best task you can do is to jump right in and use the ambu bag or do chest compressions until you become more familiar with how a code works. The worst you can do is run and hide. 6. You play well with others. One of reasons I became a nurse is because I can be a part of a team while still being autonomous. Basically, you can’t save lives by yourself. You need a great team working together flawlessly. You don’t have to like everyone, but you need to work well with everyone. If don’t work well with a team, you may want to reconsider nursing. There are just a few signs that nursing may be right for you! Nursing is a great career if it is the right fit for your personality! You will change lives and be changed. Keep and open heart and mind. Do not become jaded and hardened by the hate of this world. Keep your chin up, soon-to-be nurses!